The average human can only survive about 4 or 5 days without water according to most experts, and the typical American relies almost entirely on their water utility to provide them with this sustenance. But what would happen if the delivery systems that bring water into our homes were rendered non-functional? How long would it take for our modern lives to crumble? The American Society of Civil Engineers (ASCE) has been grading 16 categories of America’s infrastructure in a report card every four years since 1998. The last report, which came out in 2017, gave our nation’s drinking water infrastructure a D.
Since water is absolutely vital to our day-to-day lives, why don’t leaders prioritize this? Most experts seem to agree one major factor is that for the most part, water infrastructure is functionally invisible. You don’t see it every day or rely on it to get to work. You simply turn a tap and it’s there. In that sense, it’s different from other categories of infrastructure, and it’s easy to let it slip as a priority because it’s deterioration isn’t apparent. However, these systems are deteriorating, and if something isn’t done now to turn that trend around, we might wake up in the future to find the taps have run dry. The funding issue is two-fold, says Randall Roost, principal planner of Water Operations for the Lansing, Mich., Board of Water and Light and former chair of the Michigan Section of the American Water Works Association. First, utilities are under a lot of pressure to keep rates low, and also consumption on a per capita basis is down considerably. A significant portion of America’s water infrastructure is reaching the end of its useful life. The reason for the decline is multifaceted. 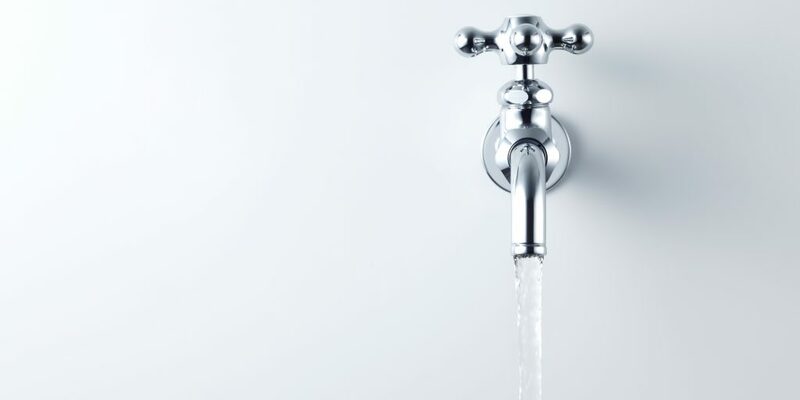 Plumbing codes changed requiring water-conserving appliances to be installed in new homes and facilities, and as older appliances fail, they are replaced by more efficient ones. There’s also the matter of price elasticity. Roost explains that if a utility raises its rates by 10 percent, they won’t see a 10 percent increase in revenue. People will reduce their consumption to keep their bill low. But these increases need to be made. When he was working at a water utility, DiLoreto says they increased rates every year for nearly two decades. The reason it wasn’t politically unpopular was because the messaging was clear about where the money was going, and why the increases were important. Roost agrees that communication is the key to solving the funding issue. Roost explains it in this way. If a typical household uses 5,000 gallons of water a month, they’re using a couple hundred gallons of water per day. Water weighs 8.34 pounds per gallon, so that means the average home uses about a ton of water per day. Most communities probably pay about 30 some odd dollars per month, or about a dollar a day for all the water they use. Because of this lack of awareness, some cities still have segments of their drinking water infrastructure that were put in place during the Civil War. Roost says the oldest water mains in his system were put in in 1885. Obviously, these components have outlived their expected usefulness. “If I look at my infrastructure simply from an age standpoint I would say those assets probably need to be replaced,” Roost says, but the problem isn’t as simple as replacing the oldest components with newer materials. “The fact of the matter is I have infrastructure that was put in place 50 years ago that may be failing at three or four times the rate of those older assets,” he adds. There are many technical reasons for these types of failures including water chemistry, materials used and construction techniques. This means there isn’t really a one-size-fits-all solution to the material problems facing the nation’s drinking water infrastructure. Patrick Hogan, president of the Ductile Iron Pipe Research Association, says. 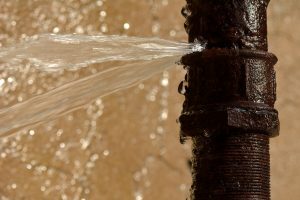 Water systems are extremely complex, and a reason for that complexity is that each system is different – with its own unique issues. Further complicating matters is the fact that the majority of these assets are underground, Roost and DiLoreto say. So, while utilities might have an understanding of the relative age of the components in their system, there’s not yet an efficient, cost-effective way to accurately determine those components’ condition. North Miami Beach’s digital asset management tools allow engineers to visualize potential problems in their system. However, there are tools available that are getting close to this goal. 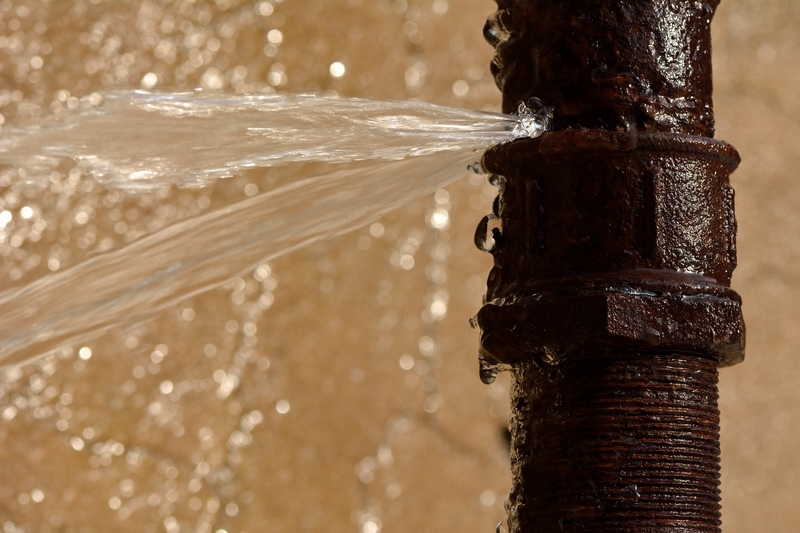 Karim Rossy, a Development Engineer at North Miami Beach Water, says leak detection technology has gotten more sophisticated, leading to improved efficiencies and tremendous cost savings across entire systems. In the late 80s and early 90s, Rossy was tasked with detecting problems in the system. He would go around with audio sensors, listening through headphones to valves for signs of leaks. Using the data gathered, he’d triangulate where a problem was likely occurring. While this was an important task, physically going valve to valve and listening for leaks is extremely time-consuming and resource draining. “It’s a very tedious process when you have 10,000 valves,” he says. The solution came when the utility transferred to automated metering systems. During that transition, digital acoustic leak sensors were incorporated into the system – nearly 11,000 of them, Rossy says – which automatically do the work of the technicians who were once charged with physically walking the system, putting their preverbal ear to the valves. “These sensors listen to the water traveling through the pipes and if a leak develops, it will hear the noise,” Rossy says. The sensors are constantly communicating with the utility through a fixed network, and they alert the engineers when they hear something abnormal. By setting up the network in this way, he says the entire system is under constant watch. This allows Rossy to prioritize his consultants’ time. instead of having them walk the system square mile after square mile, Rossy can hand them a list of probable leak locations, and have them go out into the field to pinpoint the exact source of the problem for repair crews, saving a lot of time, resources and money. We didn’t get into this predicament overnight, and the problem won’t be solved overnight, DiLoreto says. However, we need to start working incrementally now to avoid major problems in the future. He encourages local leaders to immediately start planning and prioritizing using the best tools they have available and applying the dollars they have in the most efficient manner they can. This means understanding these complex systems and applying appropriate maintenance where and when it’s needed. Rate increases are going to be unavoidable. DiLoreto suggests preparing customers for that unavoidable fact now. Rather than waiting until it’s an emergency, slowly begin increasing rates now while communicating with the public why rates are increasing and where the money is going. If people can plan for small price increases, they aren’t likely to become as frustrated as they will be if rates are hiked significantly all at once. DiLoreto puts it simply – in order to improve critical infrastructure, you need three things: Strong leadership, increased monetary investment and a willingness to use new ideas and technologies when repairing old components and building new sections. If communities can combine these three elements, America will continue to enjoy clean drinking water on demand for decades to come.